Ridgecroft understands the importance of the arts to a well-rounded education and offers valuable instruction in both the fine and performing arts. Lower school students enjoy weekly instruction in both vocal and instrumental music and learn to appreciate and to perform a wide range of music. Ridgecroft boasts the only independent school band program in the Roanoke-Chowan area. 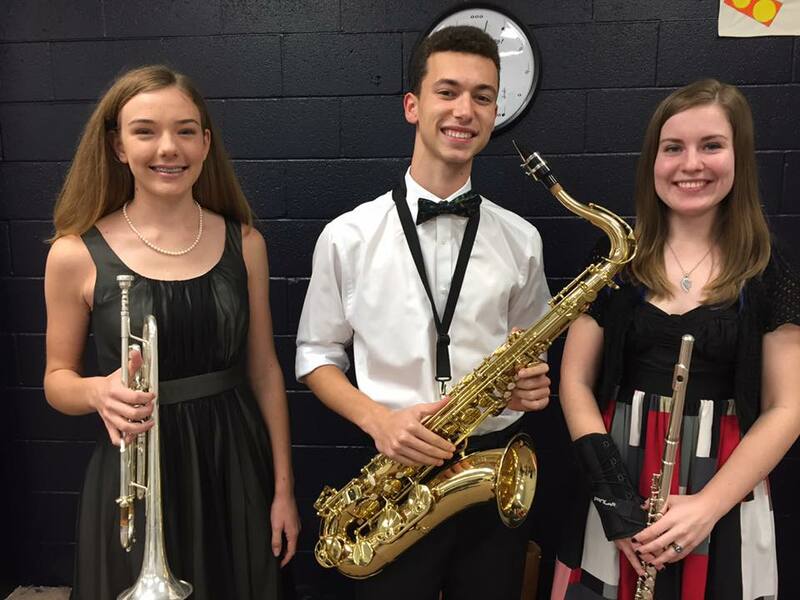 Under the baton of music director Will Sawyer, middle and upper school band students perform at two school concerts each year, participate in numerous honor bands and music clinics throughout the state, and support athletics as members of Ridgecroft’s popular pep band, the Jammin’ Rams. Visual art instruction also begins in the lower school, where students utilize various materials and techniques to create projects that incorporate math, social studies, science, and reading. Middle and upper school art students explore art history and the use of various mediums, including drawing, painting, ceramics, sculpture, mosaics, jewelry, and photography.